These look like great spring time basics! I especially love the stripes. 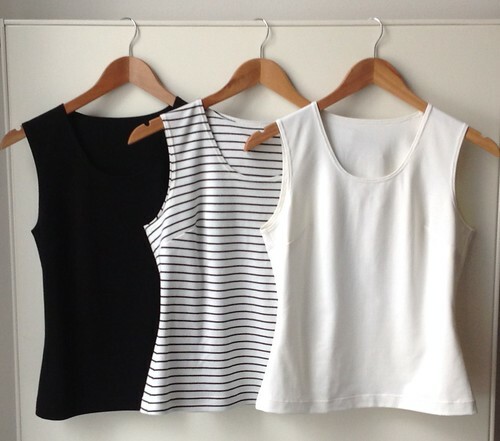 You share my love of simple tops that you can wear with or under everything. Nice job. You are so disciplined, you inspire me! Great tops. Three great new tops! Love how they came from a TNT pattern!